The US Dollar has no real contender in global trade and is on one side of 87% of all foreign exchange trades. Euro and Yen keep their top ranks being number two and three respectively. 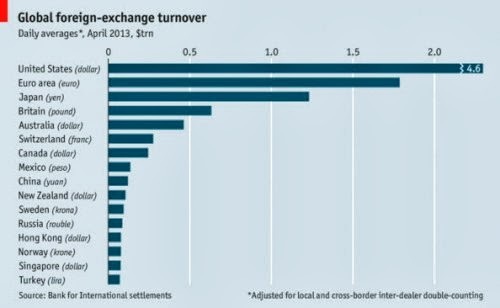 Mexican peso and Chinese yuan are now among the top ten most actively traded currencies in the world.